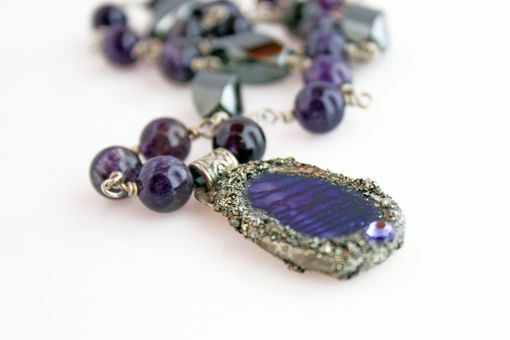 Add pizazz to anything you wear with this eye catching amethyst and purple agate slice necklace. 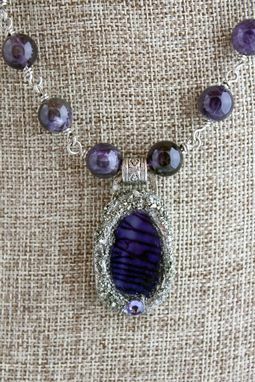 An eggplant purple agate slice is framed in a soft silver solder and encrusted in crushed pyrite around the edge adding unique texture that contrasts the smooth glassy agate slice. 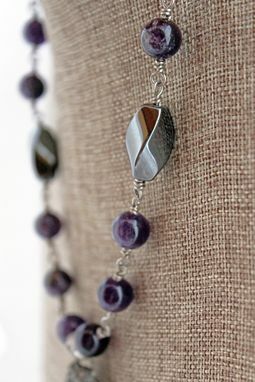 A single sparkling Swarovski crystal is nestled in the pyrite adding a little purple sparkle to the charcoal gray pyrite sparkle. 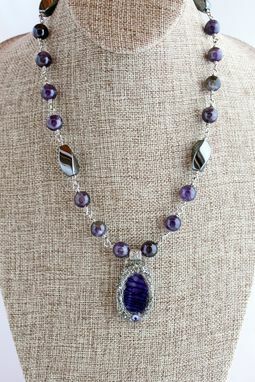 A lovely decorative silver plated barrel bead and sterling silver wire are the bail for the pendant to hang onto the gemstone necklace. 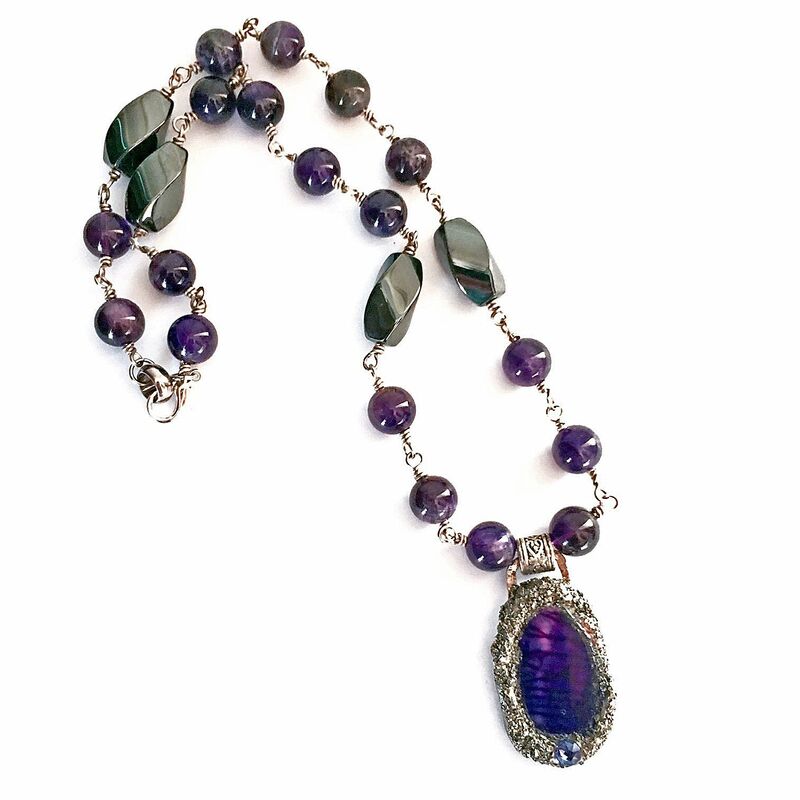 The necklace strand itself is comprised of complimentary hand wire wrapped 10mm round gemstone amethyst beads, and 4 large twisted oval hematite beads on each side of the necklace strand wind their way up to a silver plated lobster clasp. 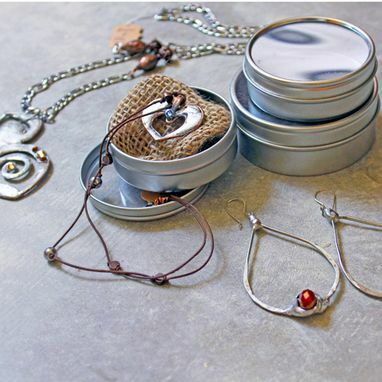 All jewelry is handmade in my little studio in La Mesa, CA. If you want something custom made for you just contact me and we can talk. I'll get back to you within 24hrs of receiving a message from you.